Well, it’s happened again. Got an email about a Foo Fighter sighting at the end of World War II which was radar confirmed. The ship, the USS New York apparently fired on the object without results which meant that they neither hit it nor drove it away. This all happened in the middle of March, 1945, sometime after the invasion of Iwo Jima and before the invasion of Okinawa. USS New York in 1945. Not exactly a disk-shaped object but it happened more than two years before Arnold, and there was the hint of radar confirmation. The witness, eventually identified as Donald Pratt, said that he also had seen the report in a magazine (he thought it was “The Times” meaning Time, I suppose, but it was The New Yorker for October 27, 1945 but more on that later). I haven’t done a very good job of describing this sighting, but only because it was a non-event. Oh the sighting happened and the New York opened fire, but the target was a bright light in the sky without a distinct shape and was way out of range of any of the anti-aircraft artillery on the ship. According to the NICAP website, there is another side to this event, which does not negate what Pratt told researchers, only that the identity of the object was realized by the ship’s navigator sometime after the firing started. And it probably should be pointed out here that by this time, meaning March 1945, the US military, many in the civilian government and probably thousands of civilians knew of the Japanese Balloon Bombs. 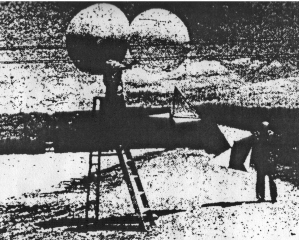 These were sort of “constant level balloons” designed to cross the Pacific Ocean, and then after a couple of cycles of rising and falling, would automatically release a cluster of bombs. The idea was to set fires in the Pacific Northwest and to cause other sorts of havoc on a really random game of hit or miss. The balloons did work, to a very limited extent, but the major fires were never started. Anyway, it seems that the captain and crew thought they were looking at one of the balloon bombs or some other Japanese secret weapon. But, according to Arthur Criste, who wrote to Patrick Huyghe who had published Chester’s book, he had been on the ship during the incident and he had a different perspective (pun intended) of the sighting. But a letter from another sailor does not a solution make. According to The New Yorker, on pages 39 – 40, in a short article by William McGuire and Mark Murphy, they reported on what a young sailor had told them. It is essentially the same story but there was no mention of radar being involved. Sure, it mentioned that it seemed that this luminous object was following the ship, and the captain asked the gunnery officer for the range. That man said the object was about eight thousand, eight hundred yards from the ship. They opened fire but the rounds fell short, so they kept increasing the size of the weapons brought to bear. The rounds continued to fall short. Eventually they signaled to one of the destroyers to use their five-inch guns, but still had no effect on the object. This is just one more example of getting to the final and original sources. Pratt told his tale which opened the door. Others went through it, but in the end, once the trail was followed, the logical solution was found. Chester, in his footnote about the object did mention that there was no documentation for the sighting (and in fairness to Keith, there are many new resources available today that he did not have when he put together his book). Take, for example, this investigation that was apparently launched by the Air Force Office of Special Investigation into a claim that someone had offered for sale pictures of the Aztec flying saucer in late 1948. This was clearly a hoax of some kind because the man offering the pictures, a fellow named Cline, apparently didn’t exist and was never found. The Army CID and then the AFOSI were involved which seems to lend some credibility to the tale, but the reality is, while the military was involved, there was nothing to suggest that the pictures ever existed and that it seems to have been some sort of con. Just because Aztec and pictures were mentioned it doesn’t actually prove that something happened near Aztec. There are several flaws here, the first of which is that the publication date is not the date the books land in the bookstores. They’re usually there earlier than the publication date and are often for sale prior to that date. But what is overlooked here, and which I didn’t think of while in the debate, is that Denver, where all this took place, was where Silas Newton, in March 1950, had made his famous UFO speech at the University of Denver. Newton was talking about a crash and mentioned specifically that one had fallen within 500 miles of Denver. In fact the night the Denver Post was exposing Scientist X and the Farmington citizens were exposing Operation Hush-Hush, I was dining in Hollywood with the man all Denver was hunting for. He had just talked to George Koehler in Denver by long distance. Koehler had worked for him and had married his nurse. The Farmington report had set Denver in an uproar, Koehler told him. The point here is that the name of Aztec and details of the crash were being bandied about many months before Scully’s book came out, and many in the Denver area were aware of the case. So, a hoax, appearing in Denver in the weeks after the official publication date of Scully’s book isn’t all that impossible… in fact, had it been any other city besides Denver, that whole episode might have greater importance. Had I known that this would become an important point in the debate, I would have been ready for it. Scott chose the ground for the battle and I moved to meet him, rather than retreating for an advantage. My mistake. So, let’s talk about the conman, Silas Newton. Scott said that I had said that when Newton died 140 claims were filed against his estate. This figure came from Jerry Clark in his UFO Encyclopedia and he cited Bill Moore as the source. Scott said that he had only been able to document one of these claims which, to me, is one too many (though claims filed against an estate are not all that rare). The suggestion was that the information came from Moore and therefore was unreliable because Moore, in 1989 had committed UFOlogcial suicide admitting to various and somewhat unethical activities. Moore was unreliable. We can ignore what Moore said for that reason and I just wasn’t going to defend Moore as a researcher, given what I knew about him. But the information about Newton being a conman runs far beyond what Moore had said in 1989. According to J. P. Cahn, Newton had a long history of engaging in shady activities. 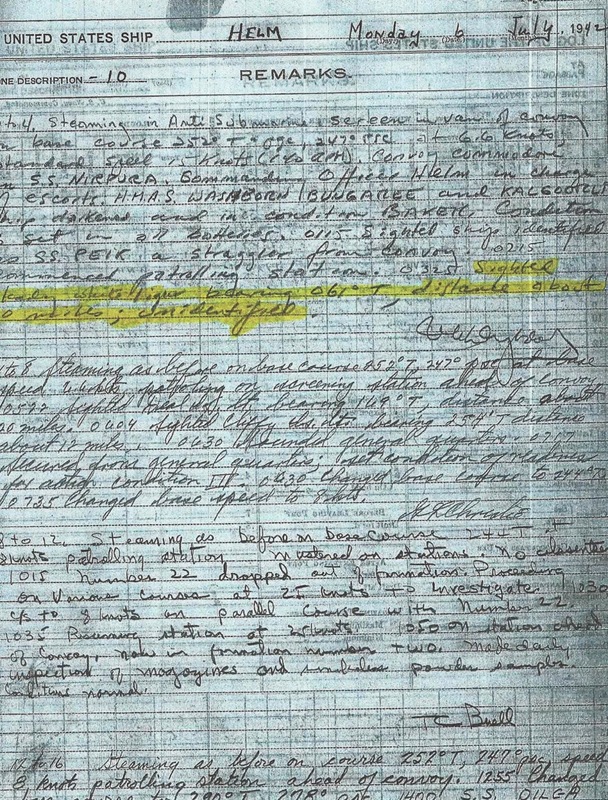 In 1931, he was arrested for conspiracy and was later arrested for larceny, false stock statements, and interstate transportation of stolen property. He seemed to have a long arrest record, but in many of the cases had the charges dismissed when Newton made restitution. Not exactly a sterling reputation… and one that didn’t seem to end until his death. 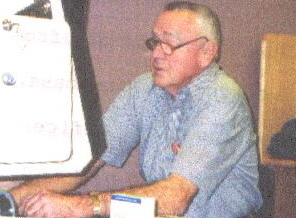 So, the information is that there had been 140 claims against his estate, but nearly all of them dropped when it was learned that he had about $16,000.00 in assets. I suppose the single case that was left, at least according to Scott, was the one that wasn’t dropped. We talked about the case in Denver in which Newton and GeBauer were on trial for fraud. They lost the trial but the debate seemed to center on whether this was a criminal trial or a civil trial, but in the end the distinction isn’t great… meaning that the judgment went against them. They lost and were forced to pay restitution and to prove what a sterling character Newton was, he never did make restitution. So the real point wasn’t how many people attempted to have Newton pay them after Newton died, but that he had a long history of con games. I asked Scott if he had ever interviewed Manuel Sandoval, a part-time police officer from Cuba, New Mexico who had been on the scene. Scott readily admitted that he hadn’t and that was clear from the book. I have been back through this book (having not read it for about two years) and I still say that it seems that he had interviewed Sandoval, given the way the chapters are written. Scott said it’s clear that the information came from Sandoval’s best friend but if you read the information starting on page 3, it seems that he is quoting Sandoval… and he does again later in the book. This point might have been a little too subtle, and Scott argued that it wasn’t true. We talked about the information that came from Donald Bass, known as Sam, which came by way of Virgil Riggs. I noted that there was no confirmation that Bass had been killed by a hit and run driver in Vietnam as alleged. Scott said that the database I used suggested there might be omissions in it, but there is little room for error. I did check others, but cited only the one. Scott had no information to refute this only that the one database might have been incomplete. Here’s the problem. Scott wrote that he had Bass’ service number but apparently has not checked with the Records Center in St. Louis. I sent him the information on how to access that information but have not heard back. 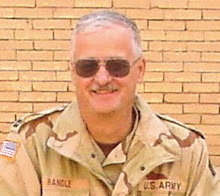 If Bass had been killed in Vietnam, the St. Louis Records Center would be the final authority on it because it would be noted in his record. Given that Scott has a service number for the guy, we can get information about him. This point should be checked. This is a minor point, but what I was suggesting was that some of the avenues, some of the easy ones had not been followed. It would only take a short letter and a stamp to get the information, but that hasn’t been done. Instead Scott just said the database might have been incomplete, which doesn’t really advance his position or validate the claim. And while it seemed that the debate went Scott’s way most of the time, I believe there was one knockout punch I delivered. I asked if Scott had any documentation for the Aztec crash that preceded Scully’s reports on it. A newspaper clipping, a diary, a letter, anything with a date that preceded Scully, but he said he didn’t have anything like that. That might be the real game changer. Something, anything, that can be shown to have been written before Scully released the information, would go a long way to validate the Aztec crash. At this point there are no newspaper articles, no magazine reports, and no government documents to show this. There were some other points that were made, but not much of substance. I mentioned that the man who was sheriff in 1947 had said it didn’t happen. Scott countered that he had talked to the family and well, maybe that wasn’t quite true… I’ll stick with what Coral Lorenzen had to say when she talked to the sheriff in the mid-1970s. I mean that’s sort of where it all ended. Scott believes there was a crash and I do not. He is required to prove his case and I am not. He is the one making the claims of the crash so the burden of proof is on him. I don’t believe he met that burden, but I do remember the Mogul debate that took place in Roswell in 1997 between Karl Pflock and me. Those who believed Mogul thought Karl had won and those who did not believed I had won. I don’t know if either one of us swayed an opinion and it was the same thing here. I don’t think either of us swayed an opinion. I’ve grown tired of this NOTAM game but have to wonder why the skeptics just don’t attempt to answer the question themselves… and why do they demand that I answer their questions when they continue to ignore mine? What is this double standard where all things skeptical are accepted without critical thought but anything that might suggest an answer they don’t like is attacked? And remember what Sherlock Holmes said about the dog that didn’t bark… but more on that later. Anyway, take, for example, the Phil Klass diatribe against Bob Jacobs. 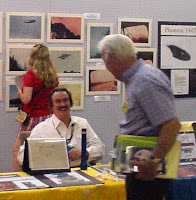 Jacobs made a suggestion that he had been involved in a UFO case now known as the Big Sur UFO Sighting, and in the course of the discussion mentioned a paper about some aspect of it. He cited it properly, and provided Klass with all the information needed for Klass to access the paper himself but that’s not what Klass wanted. He wanted Jacobs to copy the paper and send the copy to him. Jacobs refused because, according to Jacobs, he didn’t like the tone of Klass’ letter to him. So, Klass sent a letter to Jacobs’ bosses making all sorts of allegations. We’ve explored all that before (see this blog on September 11, 2011), but the point is how Klass seemed to believe that Jacobs owed him the paper. And now we have a similar situation about the requirements of NOTAMs for the Mogul flights. Make no mistake; this flap over NOTAMs is another red herring by the skeptical side. They demand that I supply them with NOTAMs for Mogul Flights No. 5 and 6. But it really makes no difference what those NOTAMs might have said because the issue is the NOTAM for Flight No. 4 and not those for other, later flights. What did Flight No. 4’s NOTAM say or not say is irrelevant since there was no NOTAM issued for it. A quick review… according to the documentation available, the CAA (which was the forerunner of the FAA) required a NOTAM, an announcement about the Mogul flights because these long trains of balloons, rawin radar targets and other equipment could reach 600 feet long. If these balloon arrays drifted into the clouds, then aircraft could conceivably fly into them causing an accident. Flight crews had to know what was out there and the NOTAMs were a way of telling them that these flying monstrosities were one of those aerial hazards they might encounter (and yes, I used the word monstrosities on purpose to annoy some of you). I wanted to see what the Mogul team had to say about the balloon arrays and how they were described in the NOTAMs. I have since learned that these arrays were not all constructed of the same components, something you wouldn’t know just by looking at the skeptical arguments (and something that I’ll explore in a later post). Documentation showed that the arrays sometimes differed from one another in significant ways and that in some cases there were no rawin targets included at all. Flight No. 5 had no rawin radar targets, the configuration for Flight No. 7 had no long string of balloons one above the next but clusters of balloons and Flight No. 10 (July 5,1947) used a polyethylene balloon as a lifter rather than the smaller neoprene balloons. So, I spent about a year and a half chasing the NOTAMs, using the Internet, telephone and the snail mail. I contacted regional offices and the FAA in Washington, D.C. asking if NOTAMs had been archived at some point and where that archive might be. I expected to find little or nothing because NOTAMs aren’t of great historical significance, and the information in them is quite perishable. They might tell you a runway was closed for repairs or a lighting system was down at an airport. When the situation changed a new NOTAM would be issued sort of cancelling the last, or the NOTAM would expire and the document tossed away. I found no repository. The only place I haven’t heard much from is the FAA office in El Paso where the Mogul NOTAMs were issued, other than to learn they don’t have anything obvious available. There might be something filed away somewhere, or at one of the regional airports around El Paso, or more likely, some airport around Alamogordo might have a file laying around with something in it… though I doubt it. Even though it is a red herring and of no importance, I reveal that I learned there is no repository and apparently are no records of the NOTAMs for the Mogul flights. Now why in the world would Moore write such a thing as Schiff began his investigation? What would be his motivation? What does it say about the mythical Flight No. 4? The 2013 Roswell Festival celebrating the 66th anniversary of the UFO crash has come and gone (and I will note here that to appease the skeptics, I probably should have said alleged UFO crash). Held, as normal over the Fourth of July Weekend and sponsored by the International UFO Museum and Research Center, there was a full slate of speakers and presentations that covered the whole gamut of UFOs including a slight foray into science fiction. On the science fiction side there was Tom Kirkbride, who is becoming a regular feature at the Festival. He is the author of the Gamadin books that he says evolved from a love of science fiction and his desire to write a “character” driven adventure for young adults. It is a series for boys that will appeal to girls, at least according to the promotional displays around Kirkbride. Sharon King also writes science fiction for a younger crowd. Her latest book is Oops was Bullied? This is the story of a tiny alien named Oops and the Earth girl who befriends her. 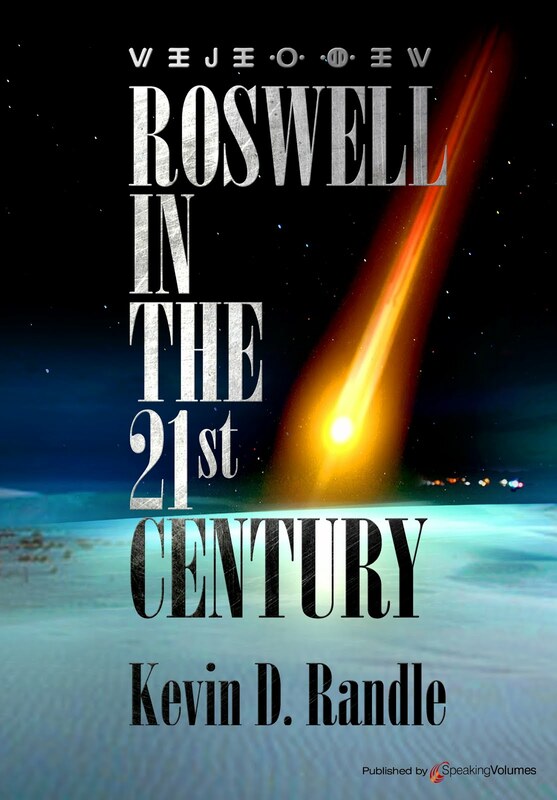 King said that her ideas were inspired by an earlier visit to the Roswell area. who are involved with alien abduction was Travis Walton. I was told that his books are difficult to keep stocked in the Museum’s bookstore because of his popularity. Walton’s tale of being hit by a beam of light from an alien craft and his captivity for five days seems to resonate with the crowd. In the times I’ve met him, he has always seemed to be somewhat understated, meaning I guess, a little reserved or quiet but adamant about what he had seen and what he had experienced. The interesting thing here is that those who were with him that night have remained steadfast in their support of their story and their observations which certainly suggest Walton had undergone a truly strange experience. After so many years, had this been a hoax, you would have expected some cracks in the story. The best that can be said is that Steve Pierce told Philip Klass it was a hoax, but that whole episode was covered last year in my interview with Pierce. Kathleen Marden, Betty Hill’s niece, was there as well. She seems to take a more scientific approach to alien abduction than most, searching for ways to verify the experiences of those others and to build a file of corroborative evidence. She attempts to look at some of what I think of as the “hidden facts” about abduction such as the blood types of those who have been abducted. If there is an anomaly, meaning for example, that a certain group of people with these hidden attributes are abducted more frequently than those who are not, this information might tell us something about alien abduction. These could be things such as blood type or those who are left-handed, as just two examples. bduction and his views on the subject. One of the things covered this year was the Citizen Hearing in Washington, D.C. Both Stan Friedman and Don Schmitt, who were in Washington for that Hearing, discussed what had gone on there, the format used, and the outcome of that event. As I have mentioned here a number of times, I thought the event was well done, seemed to gain some support from those who usually mock anything UFO related (meaning, for example, that the New York Times report on the Hearing was favorable rather than slanted against it simply because it dealt with alien visitation). Quite naturally, there were panels on the Roswell UFO crash that included Schmitt and Friedman, but also Frank Kimbler and this year Jesse Marcel, Jr. Of all those on the panel, Jesse was the only one to have lived the event and held some of the actual debris. Kimbler enjoyed a little fame in the last year when his discoveries out on the Brazel ranch site were featured on the National Geographic channel’s Chasing UFOs. Kimbler had talked of finding some buttons in the field that were of military origin. The Chasing UFOs crowd found a button as well, but it was from a Class A uniform, and not military fatigues as the buttons found by Kimbler were. 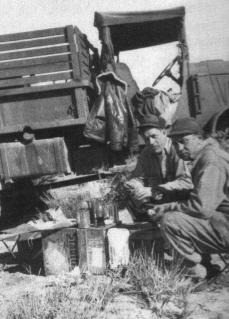 That the fatigue buttons were metallic suggested they were old enough to have been dropped by soldiers cleaning the field in 1947… the button found by the Chasing UFOs crew was simply not old enough to have been dropped in 1947. History got in the way to prove that the Chasing UFOs button was not old enough. Whatever the reason for the increase in attendance that increase will surely result in a festival next year. Anything that alerts the public to the events in New Mexico in 1947 can’t be a bad thing, and the diversity of the programs and the presenters certainly represent a wide range of views. I was doing a video lap the other day, which is what I call channel surfing. I found a documentary about Roswell and they were conducting an experiment to recreate the Mogul balloon array and then see what would happen when it fell back to earth. They kept the balloons tethered, I don’t think the array was quite as large as those run in 1947, and they shot down the balloons with a pellet gun. 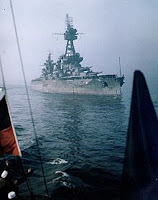 Their debris field was small, there were large amounts of twine or rope that held the array together and the radar targets were not particularly degraded. Or, in other words, it didn’t match the descriptions of the debris or the field given by those who saw it in 1947. But that wasn’t what annoyed me about this. It was the idea that the Mogul explanation had enough merit that the producers of the show thought that they needed to attempt to replicate it. It was that anyone who was paying attention still thought that the Mogul explanation was viable based on the documented evidence that is available to us now. So, let’s just start that whole debate again by saying, there was no Mogul Flight No. 4. 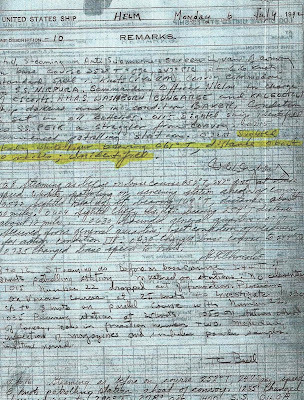 Dr. Albert Crary’s field notes and his diary entries are quite clear on the point. Flight No. 4 was cancelled… end of story. Period. Okay, end of story, semi-colon. Here’s the deal. Crary made it clear that Flight No. 4 had been cancelled. He said that specifically and the other historical evidence backs it up. The first flight noted in New Mexico was Flight No. 5, and that was recovered. Had there been a Flight No. 4 as successful as Charles Moore claimed it was, (with all his nonsensical but very extensive research conducted in the 1990s using winds aloft data from 1947), it would have been noted as the first flight. The second notation for June 4, the date of the cancelled Flight No. 4, was that they had flown a cluster of balloons, with a sonobuoy in the afternoon. Crary only told us that they had good reception on the ground for the radio signal but not so good on the B-17 that was also used in their attempts to detect a signal. But he did tell us what that flight was and it did not have the rawin targets. It was just a cluster of balloons and a sonobuoy. A Mogul launch for the Press. only existed, but had flown off in the proper direction. Well, that’s not true. Without Flight No. 4, Mogul fails as an answer. It cannot account for the debris because it never left Alamogordo. If there was no Flight No. 4, then Moore’s role as the man who launched the Roswell case falters and fails and the Mogul experiments are reduced to an attempt to spy on the Soviets. He doesn’t find his name in the newspapers and he isn’t visited by those researching the case and he certainly doesn’t get to appear on TV or participate in a book. So, there was no Flight No. 4, and I’m not even going to bother with the argument that Mogul wasn’t all that secret… with pictures of it published in the newspapers on July 10, 1947, and the name being used in all sorts of non-classified publications which eliminates another of the legs for the Mogul explanation. My point is that we shouldn’t even be dealing with this anymore just as we are no longer dealing with a stray rocket or missile (and yes there is a difference) from White Sands, an experimental aircraft accident, an aircraft accident involving an atomic weapons, or a bunch of other things such as John Keel’s Fugo Balloons that have been ruled out by evidence. Mogul should join those and we just shouldn’t entertain arguments about this any longer. Mogul is a distraction that does not work. Each time someone proposes it, we should tell them the flight was cancelled and demand they provide evidence that it wasn’t. We should tell them that a cluster of balloons is not a Mogul flight and that the debris found on the Foster ranch was simply too wide spread to be that from Mogul let alone a cluster of balloons with a sonobuoy. We tell them Mogul doesn’t work and if they have no evidence for it, then give it up. Find something that does in fact work, and let us see that evidence. A few weeks back, I mentioned a UFO sighting from the USS Helm that had been reported in the MUFON UFO Journal in July 1983. This was of a disk-shaped object that had circled the Guadalcanal invasion fleet and had been fired on by a number of the ships. The UFO reacted to the hostile fire and sped off. I mentioned that on the dates the source, who was not identified, gave, there was nothing in the deck logs to support the report but allowed how he might have gotten the dates wrong. I suggested that a more thorough search be attempted simply to be sure that we had the facts straight. First, let me point out that in 1983 we didn’t have the research sources available that we have today. I can go on the Internet and usually in a matter of minutes, if not find an answer, I can find out how to get an answer. As an aside, just today, through email, I received an answer to an inquiry that I would never had been able to make in 1983, simply because everything seems to be on the web… more on that in another post. Not really much here and no reason to assume the light was anything other than something of a terrestrial nature. Granted, showing a light in a combat zone with all kinds of trigger-happy people around, on both sides, isn’t very smart but there is no reason to assume anything else about it. This light didn’t buzz the ship, or the fleet, and no one fired on it. 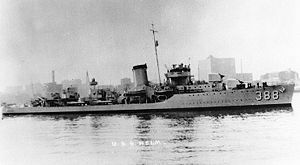 While it seems that the USS Helm was involved in the Guadalcanal invasion in the beginning of August 1942, there is nothing to suggest they fired, or anyone else fired, on a disk-shaped object at any time in August. And there was nothing to suggest the incident took place in October 1942 either. The USS Helm wasn’t near Guadalcanal but was operating off the coast of Australia. With no documentation to support the tale, it must be rejected. We have no source that has been named, we have two separate dates for the event, and we have now reviewed the deck logs of the ship involved and found no support for the tale on those dates. A search of the deck logs covering several months has failed to find anything even remotely like the story told. The only conclusion to be drawn is that this event, as described, did not happen… and since it was not reported to anyone prior to 1983 or more than forty years later, there is no reason to accept it today. This should be removed from the list of UFO sightings. Let me add this. I can see no blame to attach to Paul C. Cerny or Robert Neville because, in 1983, they didn’t have the resources to take this to the end. I’m not even sure the deck logs would have been available to civilian researchers then and if they were I’m not sure what you would have had to do to access them. Today, we all have access to a wide range of documentation from all kinds of sources and we should use them to verify our reports. We ignore the documentation at our peril. But, to me, this case is now closed. Back some time ago I put together a long article about Phil Klass and some of the dirty tricks he pulled on UFO researchers, investigators and witnesses. In the course of that article I suggested that Klass sometimes provided explanations for sightings that were not in keeping with the evidence available. The case in point was Klass’ claim that Frederick Valentich was a drug smuggler because he had four life preservers on his aircraft. 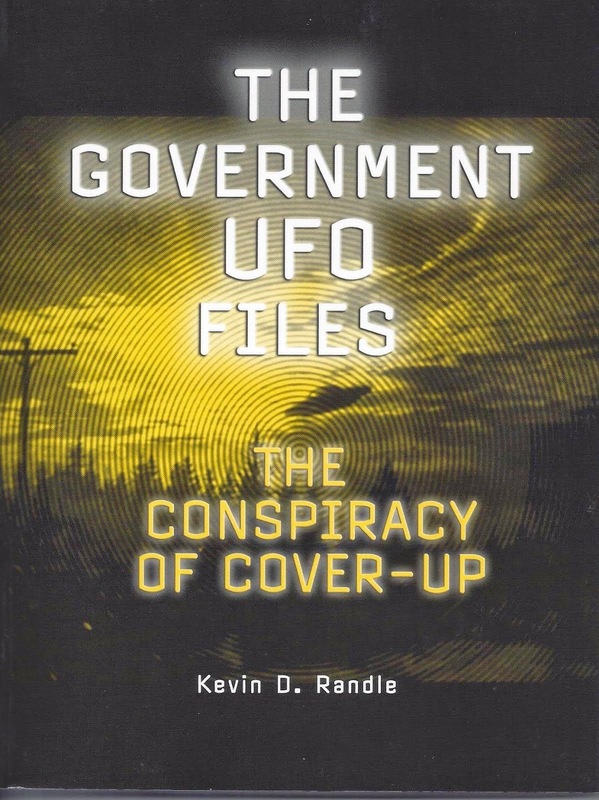 Like many others, I never understood how you could make the leap from the number of life preservers on an aircraft to drug smuggling, but in the world of UFOs, if you can’t fight the evidence, then smear those associated with the case. Some in the skeptical world were not satisfied with my response that Russ Estes had interviewed Klass a number of years ago and was told the smuggling theory by Klass. Since I didn’t have the direct quote, they wished to reject the information, though Klass’ assertion was widely reported in various other forums. In the world of the skeptic, you just never step on the toes of a fellow skeptic. You support his point of view to ridiculous lengths. I mention all this because the Valentich sighting has popped up again and Klass’ claim about him has surfaced again. This time links of various statements made by Klass have been posted so that all can listen to his words and decide if the claim is outrageous, a distortion of the situation or if there might be some validity in it. This might not end the debate about Klass and his war on UFOs, UFO researchers or UFO witnesses, but it does demonstrate the point that I was making.